Exclusive Snow Park 1 Minute Walk from this Shirakaba Lake Hotel. From the hotel, walk next door to the ski lift and go skiing or snowboarding at the resort's exclusive ski area. 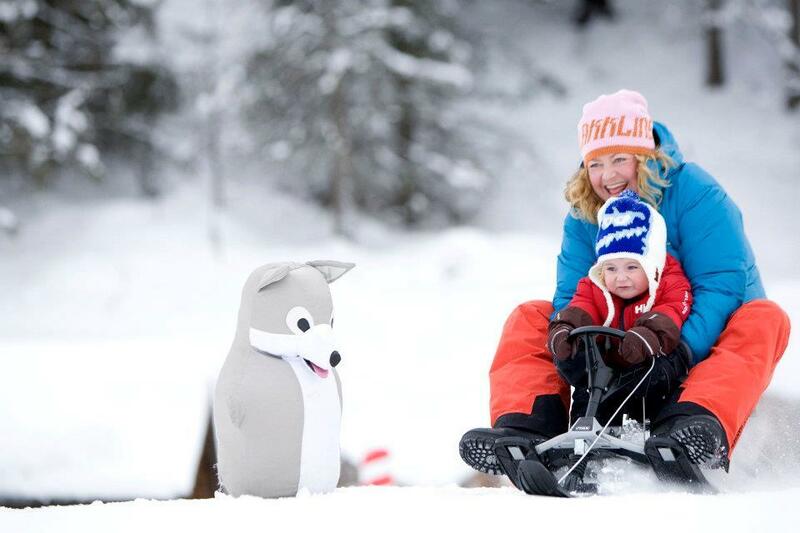 The kids snow park has a myriad of sleds to try -- perfect for showing young children snow for the first time. The area boasts a high percentage of sunny days (80%!) and perfect powder snow. Snow Park operates daily from late Dec. to late Mar. 1-Day Lift Pass ¥3,000 for adults, ¥2,500 for children and seniors. From JR Chuo Line, 50 minutes by bus. Take Alpico's bus bound for Shirakaba Lake and Kurumayama Mtn. (白樺湖・車山高原), get off at the Higashi-Shirakaba-Ko (東白樺湖) stop. For access using the Nagano Shinkansen, from Sakudaira Station 80 minutes by bus. From Suwa IC, 30 min (23km). From Saku IC, 50 min (40km).